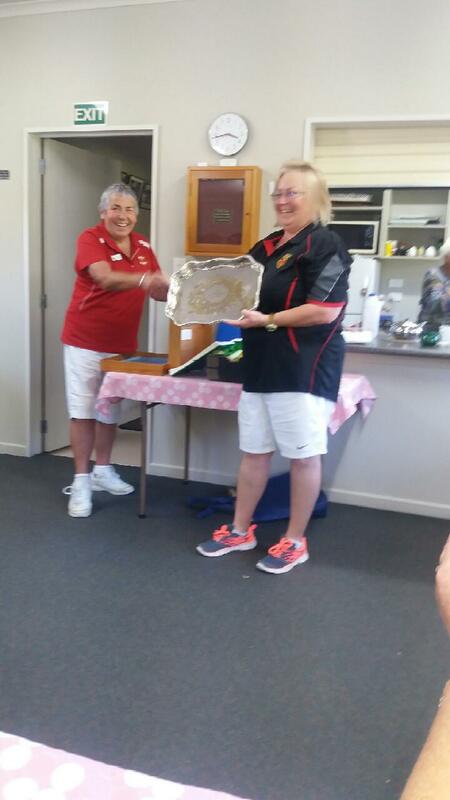 The interprovincial teams tournament was played in Ashburton at Waireka Club. Canterbury emerged the winner, with Nelson runner-up. The victorious CCA team members were Marguaritte Rogers (captain), Owen Evans, Pam Hurst, and Rosalind Thomson. Here are the placings of players after all rounds of The Atkins Trophy. Players listed in the top 8 teams will be required to be at St Martins Club next Saturday morning 25th March for the playoffs. Please be there by 8.30 am so games can start on time and finish on time. Three Canterbury players have been invited to compete in Croquet New Zealand’s annual invitation tournaments: Ian Campbell in the Roger Murfitt tournament, John Yarrall in the Copper Tray tournament, and CCA president, Owen Evans, in the Gold Cup. It is some years since so many Canterbury players have been invited in these events which are limited to 8 players each. The result of recent play-off matches for the forthcoming Arthur Ross (AC) and Gold & Silver Badge (GC) is that Ian Campbell (Barrington Park club) and Annette Wilson (Hornby) respectively will represent Canterbury. The Arthur Ross tournament will be played in Christchurch (at United) for the first time, between 3 & 5 March. The Gold & Silver Stars will be held in Wellington on 11-12 March. Perhaps the most successful and popular of CCA events in recent years — at least for AC players, played on Tuesday mornings for those who like a varied experience of handicap play in a sociable context. This is competitive croquet without competition pressure! Please see the poster carol-hayward-ac-competition-2017 and send your entry to Margaret. 2016 Canterbury Open Doubles was cancelled for the third consecutive year because of insufficient entries. The Grades Tournament associated with the Open also has not been held for three years. The Open Singles was held successfully on 12 November, but was contested by only four players in cold, damp conditions. 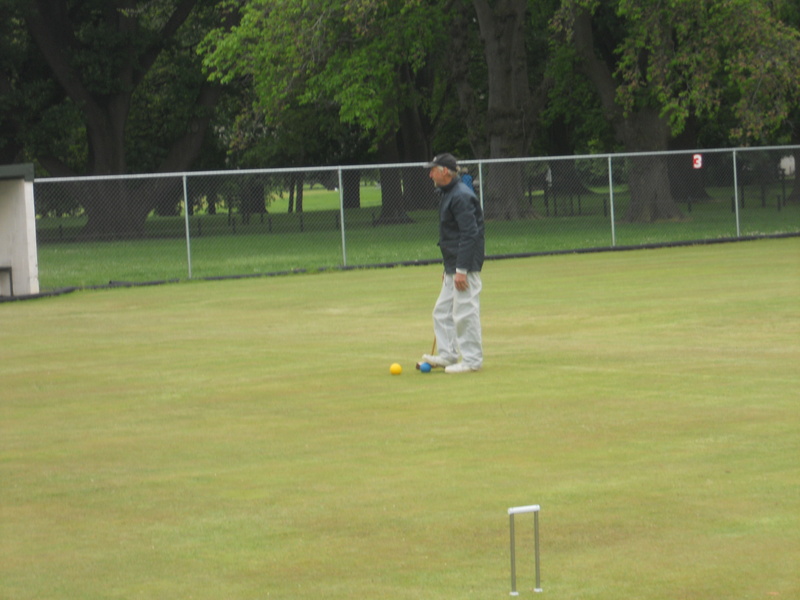 Winner was Peter Parkinson of the Rangiora Croquet Club returning to competitive croquet after an absence of about 15 years. 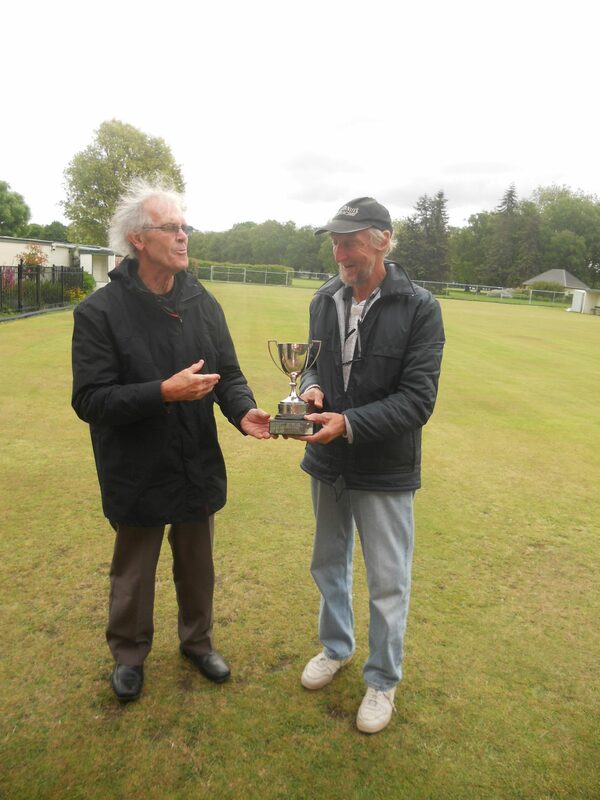 Peter defeated last year’s winner, Ian Campbell (Barrington Park) in a closely contested match to secure the Cup. Peter has won this tournament on two previous occasions, 1996 and 2003, and has represented New Zealand in the MacRObertson Shield international tournament. Peter Parkinson considering his tactical options. Tournament Manager, Tony O’Donnell presenting Peter Parkinson with the trophy.